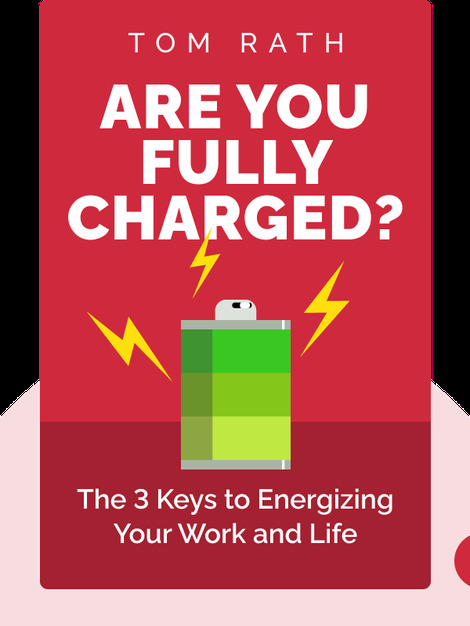 Are You Fully Charged (2015) is your guide to eliminating your off days, one positive interaction at a time. From socializing more to sitting down less, these blinks reveal easy-to-implement tips and tricks for generating the mental and physical energy you need, all by finding greater meaning in your life. 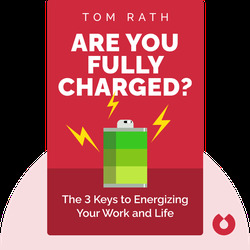 Tom Rath is a researcher who focuses on the connection between human behavior and health, well-being and business. He is the author of six New York Times and Wall Street Journal best sellers including How Full Is Your Bucket? and StrengthsFinder 2.0.